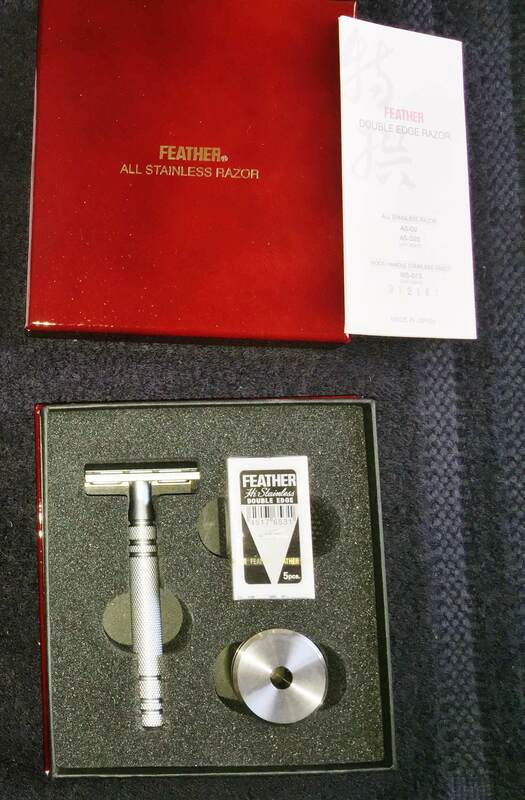 Description The AS-D2 is Feather's second generation of their all stainless steel double edge safety razor. This three-piece razor is an ultra premium shaving tool, with exacting tolerances and exquisite satin finish. This is easily one of the most advanced traditional shaving tools on the market. 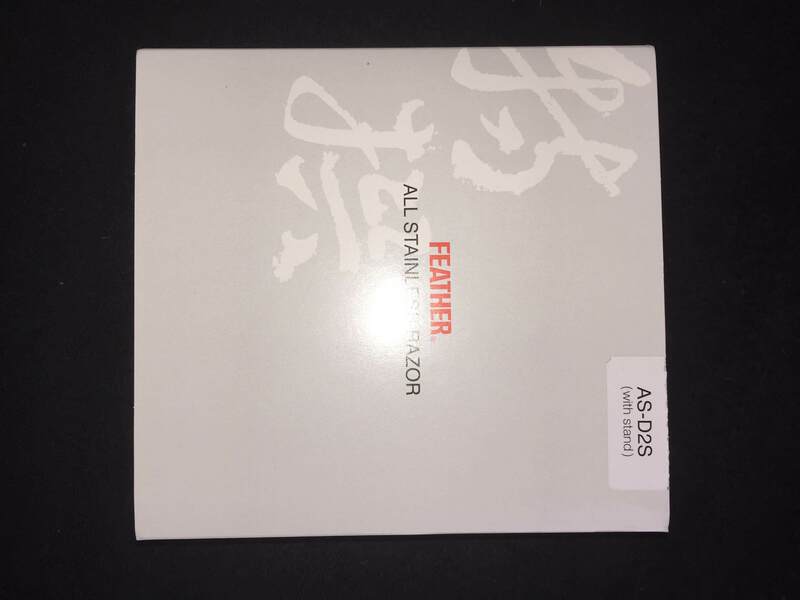 Feather has engineered it for great balance and accurate blade placement. Their unique method of holding the blade ensures it sits centered. The handle has a great knurled pattern for a firm grip and has a nice length for a comfortable grip. This razor is on the mild side, so a slightly greater angle of use is needed. Paired with a sharp blade, like the Feather double edge blade results in a very nice shave. Beautifully packaged in a burgundy gift box. Includes beautifully crafted stainless steel stand and one pack of Feather double edge razor blades. funds not recieved yet Bump!